| Gehman Design Remodeling | www.gehmanremodeling.com ⁄ Blog ⁄ Events ⁄ SHOW TIME!!! Bring it on!! It’s that time of year again! Gehman Custom Remodeling is entering the fall home show season and we would like to invite you to attend our first one of the season. 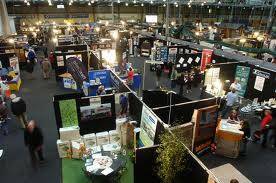 This year The Greater Philadelphia Fall Home Show is being held at the Pennsylvania Convention Center, Philadelphia. We are excited to be a part of this gathering of the area’s premier businesses with exhibits that focus on your home.Take a look at this previous blog (click) for tips on attending home shows. If you are anywhere in the process of home remodeling, you will find ideas and help to make your dream project a reality.